For The First Time Sivakarthikeyan Reveals The Six Pack Picture Of Soori !! Twitter Explodes !! Actor Soori, one of the busiest Comedian of Kollywood is currently waiting for the release of “Seema raja” on Vinayagar Chaturthi. Siva Karthikeyan pairs up with Soori for the 6th time. He also added that the script demanded such look and Soori has done that with a lot of hard work. We know, many comedians who turned heroes like Nagesh, Vadivelu, Santhanam, and Vivek, had done magic in lead roles. Siva has teamed up with director Ponram for the third time for Seema Raja. Earlier, they worked in Rajini Murugan and Varuthapadatha Valibar Sangam, two films which won millions of hearts for Siva. Now, Siva has again teamed up with Ponram after a gap of two years. But this time, Ponram is not just handling an upcoming star Siva Karthikeyan, but someone who is aiming at becoming another ‘mass hero’ of Tamil cinema. After Rajini Murugan, Siva went on to give back-to-back hits with Remo and Velaikkaran, and quickly became the most bankable star of Kodambakkam. Hence, the playground is not the same for Siva anymore. He can’t just be another loafer in his upcoming films – a character that he has frequently been playing from Maan Karate times. And that could be the reason why he is playing a Raja (King) in Seema Raja. Another interesting thing about Seema Raja is that Siva is now locking horns with a female villain (played by Simran) in this film. This is a typical stint that many actors in Tamil cinema have pulled off; the ones who aim at appeasing the mass. From Rajinikanth’s Mappillai to Dhanush’s Mappillai, the examples are numerous. However, Siva’s shot at the ‘mass hero’ title might also backfire, and that makes this film an important one in his career. If his attempt to pull off this larger-than-life image in Seema Raja hits gold, Siva will definitely enter the bigger league and also seal his place. On failing, he might have to resort to his experiments and go back to being the lovable wastrel. Though the teaser and trailer promise a rural masala fest, Seema Raja might also invoke a sense of deja vu as it has the same Soori-Siva combo, which we saw in Ponram’s last two films, and that might mean its downfall at the counters. 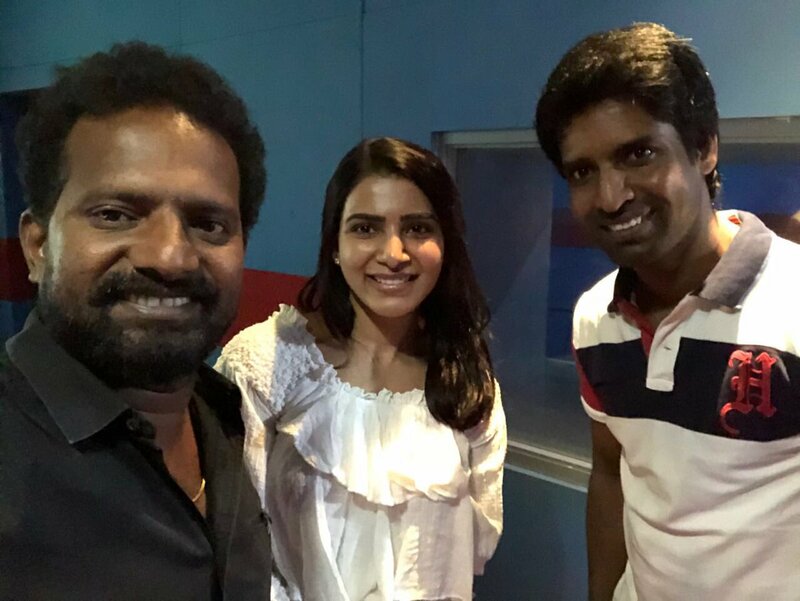 Seema Raja, which is releasing on September 13, has Samantha in the female lead role, and ironically, the film will compete with samantha’s U turn at the box office, which is also releasing on the same date. Now a six- pack attire from Soori, creates a doubt whether Soori is gearing up for a full fledged lead role in near future. What do you think on Soori’s appearance , let us know !! Previous articleAfter Long Time Oviya Opened On BIGG BOSS & Everyone Literally Shocked On What She Did !! Next articleIndian Billionaire Hires 12 Staffs For His Daughter To Study In UK !! WTF !! Actor/Comedian Karunakaran Asked Sorry To Actor Vijay !! Check Out The Reason !! Mahat Raghavendra Announced That He Got Engaged !! His Followers Trolling HIm By Posting Yashika’s Pictures !! #JusticeForMadhu Engineering Student Raped, Burnt & Murdered ?? Horrific News Creating Outrage ! !